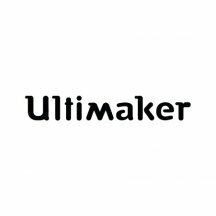 Ultimaker is a brand specialising in 3D printing based in the Netherlands that produces the most accurate 3D printers on the market (20 micron layer thickness). The Ultimaker group is also behind the filaments of the same brand and CURA software for creating Gcode files for 3D printing. All Ultimaker printers are on sale and available for purchase on Makershop3D, the Ultimaker brand produces the most accurate 3D printers on the 3D printing market with open source quality. They are manufactured in Europe, in the Netherlands. Buying an Ultimaker means you are guaranteed to get professional, versatile and reliable equipment. Ultimaker printers are intended for a very wide range of people, they are easy to use and will suit both professionals and individuals with their high precision. Ultimaker 3D printers are used by engineers and architects to produce prototypes and models easily and cheaply. These printers are also used in the field of education and the field of art and research. When you buy an Ultimaker printer you are not only buying the best printer on the market for 3D printing, but you also have access to the largest 3D printing community since there is a large community of Ultimaker users, made up of individuals and professionals who discuss 3D printing. The printers do not use proprietary filaments, so you can test and choose a filament of the brand of your choice. Find all the tests and reviews relating to Ultimaker printers directly on the product sheets, verified opinions posted online that come from customers who have ordered and received the machine. To help you compare Ultimaker, please use the online comparison tool to help you choose before you buy. This temperature sensor is compatible with Ultimaker Orignal + printers only. Its function is to read the temperature in the nozzle (Hot End). Backpack for Ultimaker 2 Go so you can easily carry the smallest of the Ultimaker printers. A simple and effective design to take your Ultimaker everywhere with you without damaging it. Maintenance kit for Ultimaker 2+ and Extended 2+. The kit contains all the items necessary to maintain your machine in a single solution. The kit includes spare parts and various types of mechanical grease. Only compatible with Ultimaker 2+ and 2 Extended+. With Ultimaker PC (polycarbonate) filament, you can print heavy and difficult parts that retain dimensional stability even when the material is exposed to temperatures as high as 110°C. PC is the perfect filament for printing moulds, tools and functional prototypes. Very versatile for industrial applications, TPU 95A (thermoplastic polyurethane) is the filament for a wide range of manufacturing projects that require semi-flexible characteristics. 750g spool. Used by numerous manufacturers worldwide, Nylon (polyamide) is well known for its impressive durability, with high strength, flexibility, low friction, and corrosion resistance. With its ability to withstand severe mechanical stress, Ultimaker Nylon is an excellent choice for functional prototypes and end-use parts. 750g spool. 6 594,00 € Tax incl.